If a pendulum clock does not have an even tick (ie is off beat), it will slow down and stop. If it is a wall clock, you can usually move the bottom of the clock from side to side, listening to the tick alter until the space between each tick sounds the same. 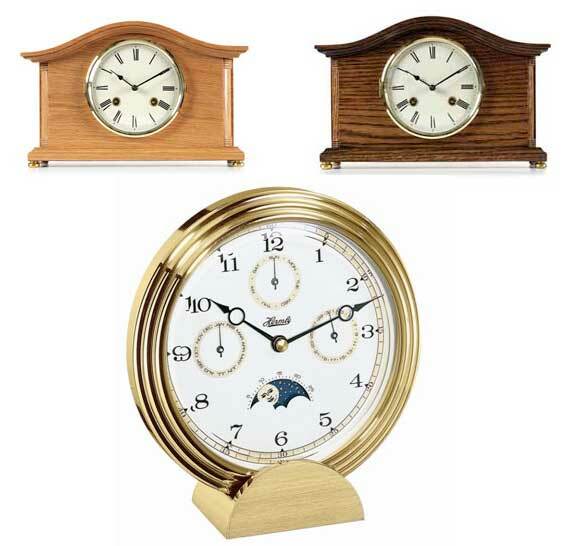 If you have a shelf clock that we have tested on a perfectly flat surface (front to back and side to side) and you put the clock on an uneven or unstable surface, the clock will run for a short time, slow down and stop, therefore the clock needs to be put on beat. The clock feet can be adjusted with cardboard or coins to make the tick even or can be reset on beat by adjusting the crutch. If the clock is striking the correct sequence but not the correct number of strikes in relation to where the hands are pointing, then the chances are it is a countwheel clock and the countwheel needs resetting. There are several ways of doing this, the simplest as follows: Turn the minute hand (longest hand) past 12 o’clock and count how many times the clock strikes. If it strikes once, we need to ascertain if this is half an hour strike or 1 o’clock. The only way to do this is to turn the hands forward to the half hour. Again, of course, it can strike one, which could be half hour or hour. In this case, you would have to turn the hands to the next half hour and again count how many times it strikes. If you take the minute hand to five minutes before the clock strikes, ie five to the hour or twenty five past the hour and then gently turn the hands backwards 15 minutes, the clock will normally strike. Sometimes you may have to go a little further forwards and a little further backwards to make the clock strike but NEVER TURN THE HANDS BACK ONCE YOU HAVE PASSED THE HOUR OR HALF HOUR AS YOU MAY DAMAGE THE CLOCK. Continue to do this until the clock chimes the corresponding amount to where the hands are pointing ie. If you are working between 2.55 and turning the hands back to 2.35, you would want the clock to strike once after it has previously struck twice for 2 o’clock and then once for half past. This sounds much more difficult than it really is. Never attempt anything that you do not understand. We do not accept any responsibility for damage to your clock. We are always happy to help customers set up their clock once we have repaired it. The extent of wear to parts will be assessed and all worn pivot holes rebushed or closed and burnished, pivots will be filed and burnished parallel and pallet nibs polished. All other parts of the movement will be repaired as necessary. If these are beyond repair, replacement parts will be obtained or made. (This on some occasions may involve a revision of estimate). The movement will then be reassembled, checking, adjusting and relubricating each part as necessary. The movement will then be replaced into the clock case and tested for time keeping, striking and chiming accuracy. The test period is usually approximately ten days but depending on the extent of adjustment can occasionally take several weeks.